...is where the fun starts! 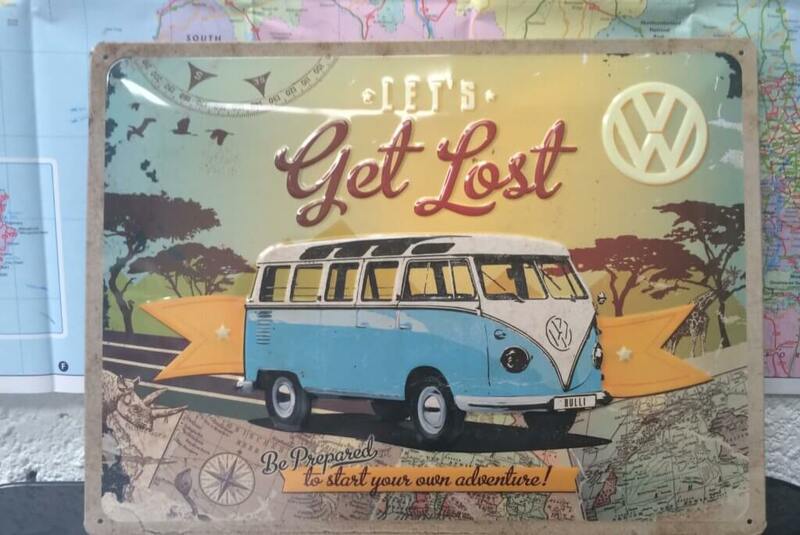 So, you’ve booked your Vintage VW Campers adventure, or perhaps you were lucky enough to receive one of our vouchers; now to decide where your roadtrip will take you. It depends what type of person you are, whether you like to have everything planned out, or simply go with the flow. The time of year you are travelling at and the locations you want to visit should also have a bearing on this decision. If high season and you want to visit popular places, then we recommend you book. However bear in mind some campsites may not take a one night booking, especially at peak times. The flipside is, there are other campsites you can just turn up and get a pitch on spec, especially when travelling out-with June, July, August and bank holidays. If you can follow the best weather, rather than plan too much beforehand, this is one of the best ways to enjoy your holiday. 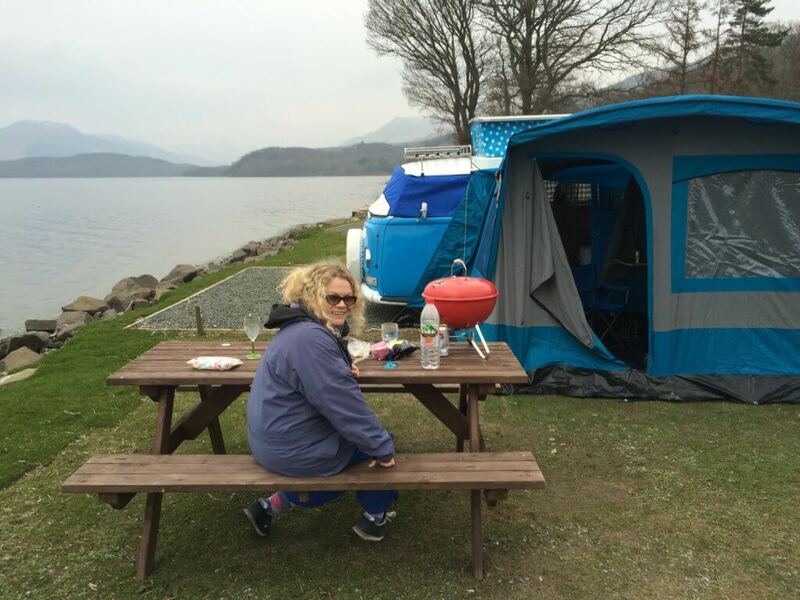 We always try to book a pitch next to the water (we love beach & lochside campsites) and with electric hook-up, to power the campervan’s internal sockets. On electric hook-up in a campsite you can plug in the electric heater we provide and keep fridge or coolbox running all night. It also means you can use the sockets for any gadgets you bring with you. All of our campervans have limited power when off grid. It’s recommended to keep this for internal lighting. When planning you should also think about striking a balance between visiting all the places you want to and having a relaxing holiday. 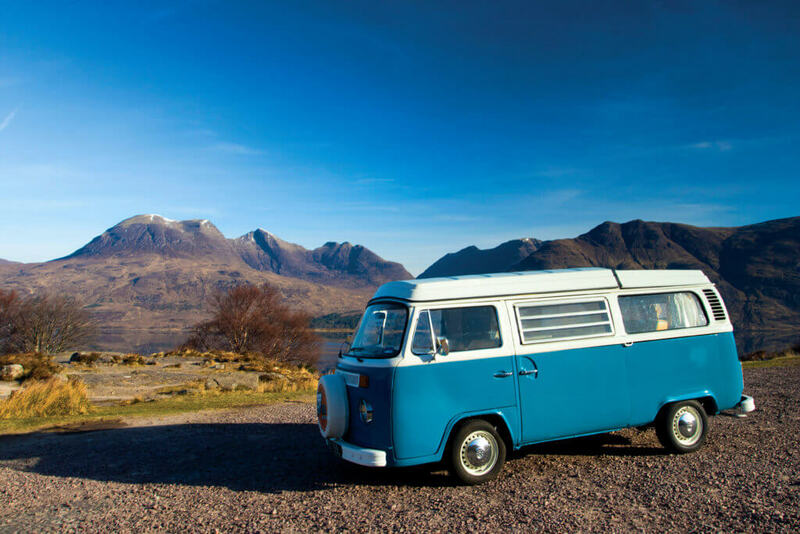 Driving a classic campervan is more tiring than modern vehicles, especially when on challenging highland roads. One Night or Longer at Each Location? You may want to consider staying in one place for more than one night to explore an area in greater depth. What time can I set off? Everyone has the right to be on most land and inland water providing they act responsibly. Your access rights and reponsibilities are explained fully in the Scottish Outdoor Access Code. Be considerate. Avoid causing problems for land managers. Do not camp in enclosed fields of crops or farm animals. Lighting fires. Never cut down or damage trees. Use a stove if possible. If you must have an open fire keep it small and under control and remove all traces before leaving. Toilet waste. If public toilets aren't available, carry a trowel and bury your faeces. Clean water. When you need to go to the toilet, do so well away from open water, rivers and streams. Litter. Take away all of your rubbish and consider picking up other litter as well. Avoid overcrowding. Keep groups small, quiet and well away from buildings, roads or historic structures. Before leaving Falkirk, you may be interested in visiting The Falkirk Wheel, which is the world’s only rotating boat lift, linking the Forth and Clyde and Union canals. It’s an amazing feat of engineering and you can even experience it on a barge yourself. Other places of interest in the immediate area are the magnificent Kelpies and Callendar House, a turreted mansion in its own park. The historic Roman Antonine’s Wall and John Muir Way both pass through Falkirk. Scenes from Outlander were shot in Callendar House and nearby Muiravonside Country Park. More info can be found on VisitFalkirk’s website. 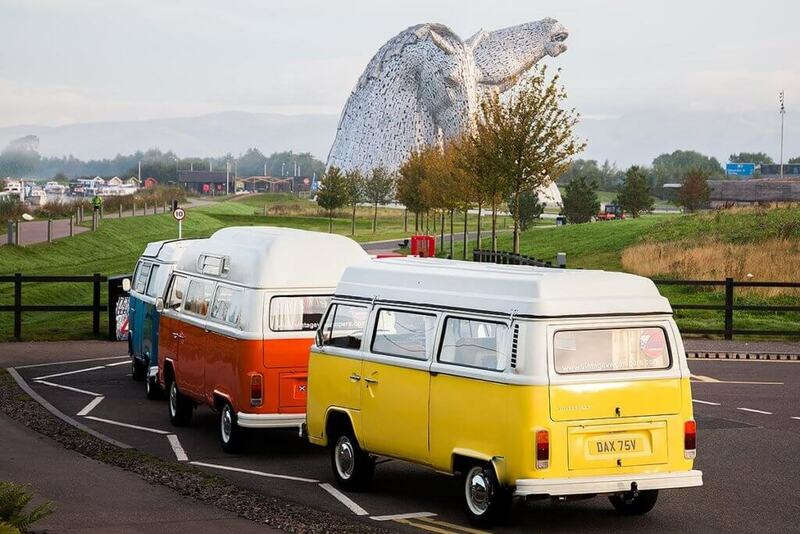 There are so many places to choose from in Scotland worth visiting on your Vintage VW Campers adventure. We provide a taster of the highlights to inspire you below. Our list is compiled from our personal experiences and also places our guests have particularly enjoyed. We have left the cities off our list, as they’re better explored on foot or public transport. We recommend visitscotland.com for further research and portals to specific places like visitfalkirk.com. If you like a detailed plan, we recommend planning your route on the AA Route Planner or use google maps and save the route for use offline. Callander – a pretty riverside town with nearby waterfall walk at Bracklinn Falls. Decent choice of places to eat and drink but also worth driving on to eat at Brig o Turk Tearoom or Venachar Lochside. Dollar Glen- A Stunning area for bracing walks. Visit atmospheric Castle Campbell but save the campervan clutch by parking in the Hillfoots Carpark! The nearby Tormaukin Inn is an excellent lunch stop. Nearby is Rumbling Bridge Gorge, a canyon & waterfall walk, not recommended if you suffer from vertigo or don’t have suitable walking footwear on. (No flip-flops!) This walk is at a steep, narrow, rocky gorge and the footpaths are uneven and often slippery. In Scotland although there are magnificent walking options suitable for all levels, we have to stress that you must take great care in many places. Killin- lovely wee village at the west end of Loch Tay and The Falls of Dochart. The Scottish Crannog Centre at the east end of the loch is worth a visit also. Aberfeldy-another village worthy of a visit. Waterfall walks around the Falls of Moness & Falls of Acharn. Glen Lyon, Scotland’s longest enclosed glen is just north of here. Dunkeld- lovely historic cathedral town with nearby Loch of The Lowes Wildlife Reserve. Great food and live Scottish music at The Taybank. Get the adrenalin pumping at The Nae Limits Activity Centre just north of here. Hire a Stand Up Paddle Board from Paddle Surf Scotland and take to the water. Pitlochry- another picturesque town, with an interesting salmon ladder. Great choice of shopping from Scotland’s larder at House of Bruar. Moulin micro-brewery. Blair Athol and Edradour distilleries. Killiecrankie Visitor Centre, Highland Fling Bungee Jump and Blair Castle are just north of here. Loch Tummel & Rannoch- beautiful scenery, walks and history. The Queens View Visitor Centre & iconic peak Schiehallion. Laggan- this is where much of ‘Monarch of the Glen’ was filmed but now most people go for bike hire and adrenalin at Wolftrax Mountain Biking Trail, followed by a distillery tour at nearby Dalwhinnie. Cairngorms – a National Park with stunning scenery & wildlife. Mountain range, ancient Scots Pine forests, watersports on Loch Morlich, activity centre at Rothiemurcus, Highland reindeer centre, The Landmark Forest Adventure Park. Eat out at The Winking Owl in Aviemore. Go to the Highland Wildlife Park near Kingussie, or the Osprey Centre at Nethy Bridge. Visit the Highland Folk Museum. The Moray Firth- dolphin and whale cruising, beaches include Burghead, Hopeman, Nairn & Findhorn. Aberdeenshire- a must for castle lovers, detailed Castle Trail info on the VisitScotland website. Castle fans must check out the Historic Scotland and National Trust for Scotland websites also. The ruined Dunnottar Castle, just south of Stonehaven is a feast for the eyes. Craigevar Castle will be a winner with anyone who loves a pink fairytale castle. Some of Scotland’s best castles can be visited in this area. Cullodon- historic battlefield site and visitor centre. Clava Cairns- Bronze Age burial site, a must-see for 'Outlander' fans. The Black Isle- dolphin spotting and beach-combing at Rosemarkie, then eat out in The Crofters Bistro. The North Coast 500 (NC500)- over 500 miles of one of the best drives in the world. Travel it either, anti-clockwise (navigating easier roads to begin with and leaving some of the most spectacular scenery for later) or clockwise and enjoy being on the scenic coastal side of the road. You can miss out bits, if you prefer. 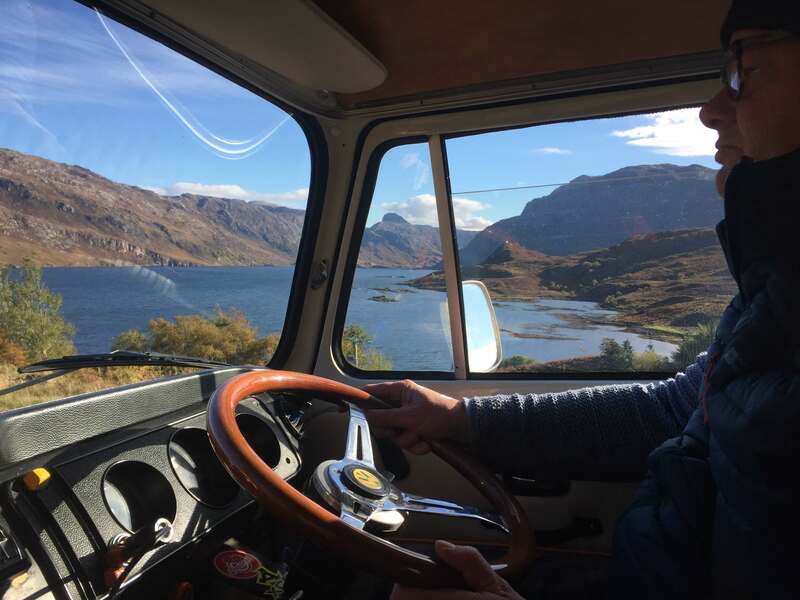 Our campervans have been up the Bealach na Ba (Pass of the Cattle), the spectacular drive to Applecross many times but it is a very challenging, steep and bending road only for the most intrepid travellers. Your most skilled driver must be behind the wheel for this drive. It is essential on any single track road with passing places that you can reverse confidently, this is more important on roads like this with hairpin bends and steep drops. Poolewe – visit Inverewe Gardens and then go to Aultbea to buy fabulous produce at Isle of Ewe smokehouse. Enjoy the beaches of Firemore, Mellon Udrigle & Gruinard Bay. Ullapool-more than a fishing village (superb fish and chips though) and ferry port (travel to The Hebrides), it has a great music festival ‘Loopallu’ in late September, the spectacular Ardmair Point and Inverpolly Nature reserve are nearby. Award winning Achmelvich Beach & Lochinver. Go to the Lochinver Pie Shop, so much more than pies. The seafood is fantastic but so are the pies! Walk off the pies on the 4 mile round trip to another award winning beach, Sandwood Bay, which is looked after by the John Muir Trust. You cannot drive to the beach, you need to walk here! The mountains around Assynt, Torridon and also Tongue are some of the most spectacular in the country. Durness & Sango Sands- When you get to the top of mainland Scotland, you hope for something special, so don’t miss Sango Sands. An out of this world beach, with campsite over-looking it from the cliffs above. Also worth a visit are Balnakeil Beach, Balnakeil Craft Village (be sure to have a hot chocolate at Cocoa Mountain) then onto Smoo Caves. Durness is the village where John Lennon spent many happy holidays, as a child and returned later with Yoko Ono. We can understand why. Melvich – can you manage another stunning beach? Oh ok then! Thurso- Catch the ferry to Stromness on Orkney. Catch a surfing competition or a wave, possibly Scotland’s most famous surf location. Visit the Castle of Mey nearby, highland home of the late Her Majesty Queen Elizabeth Queen Mother. The sea stacks of Duncansby are pretty spectacular, as are views to Orkney on a clear day. Helmsdale- lovely wee harbour village with Timespan Heritage Centre. Golspie- visit French châteaux style Dunrobin Castle. Dornoch- massive golden sand beach and home of the Royal Dornoch Golf Club. Madonna and Guy Ritchie tied the knot in the cathedral here. Linlithgow- Mary Queen of Scots birthplace, now a ruined palace with history aplenty. Good enough for Chanel to host their fashion show in. Great wee festival in August, “Party at the Palace.” Decent eats in Livingstons and Bar Leo, drinks in the Four Marys. 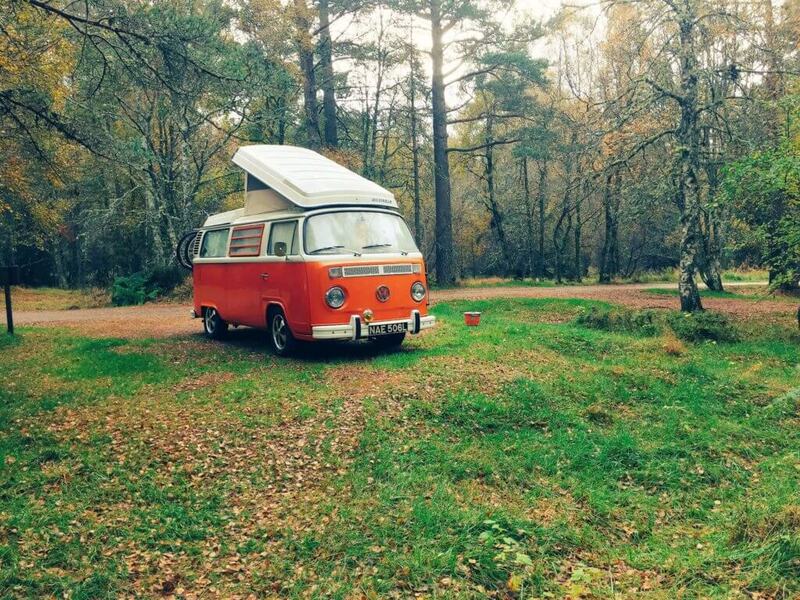 Beecraigs Country Park is up the hill, deer, heilan coos (highland cows) and camping. East Lothian- Gullane, Yellowcraigs, North Berwick, Dunbar, Thorntonloch. Beautiful beaches, campsites and sunrises. Stop off to pick your own strawberries at Belhaven Fruit Farm and also at The Belhaven Smokehouse for fabulous smoked fish. Dunbar is John Muir’s birthplace and there’s a museum if you are interested in the environmentalist who founded the US National Parks. Depending on your interests, you may wish to go to Foxlake Wakeboarding Park, East Links Family Farm Park, The National Museum of Flight at East Fortune or the Scottish Seabird Centre in North Berwick. Those interested in seabirds, should also visit St Abbs Head Nature Reserve when in the area. Fife- Culross (Outlander film location, Instagram perfect village.) Dunfermline (ancient Royal Burgh, final resting place of Robert the Bruce) Falkland- picturesque village and palace. Elie, Pittenweem, Crail- wee seaside villages worth a visit. Anstruther for fish and chips. St Andrews, a lovely historic university town and home of the Open Golf Championship. Monifeith- great location if you want a beach and city break. The beach is not only large and stunning but it’s right next to the campsites too. As Monifeith is on the outskirts of Dundee, it’s easy to access the city for culture and entertainment. The V&A Museum of Design Dundee is due to open in 2018. Queen Elizabeth Forest Park and the town of Aberfoyle-great walking and cycling. Detailed info on the Forestry Commission website. Loch Katrine- cruise on the historic Sir Walter Scott steamship. Loch Lomond- our closest National Park, great for watching wildlife, climbing and water-sports. For eating and drinking out we recommend the Oak Tree Inn at Balmaha and the curiosities of the historic Drovers Inn. Inverary & Loch Fyne- an architecturally interesting town and nearby castle, home of The Duke of Argyll. On the other side of the loch, if you eat at a great wee restaurant called ‘Inver’ they usually let you camp overnight there. Loch Awe & Kilchurn Castle – breath-taking castle, will leave you in awe! Cruachan, the ‘hollow mountain’ is also near here. The Cowal Peninsula- Argyll Forest Park covers much of this and provides many opportunities to enjoy nature and fantastic scenery. You can explore the coast on The Waverley, the last sea-going paddle steamer in the world. Oban- bustling port town, catch the ferry to Mull, or a boat trip to Fingal’s sea cave on Staffa. Enjoy the view from McCaig’s Tower, the folly overlooking Oban. Go sea kayaking with Stramash. Buy seafood on the pier or enjoy the Oban fish and chip shops. Drive north for picturesque Castle Stalker. 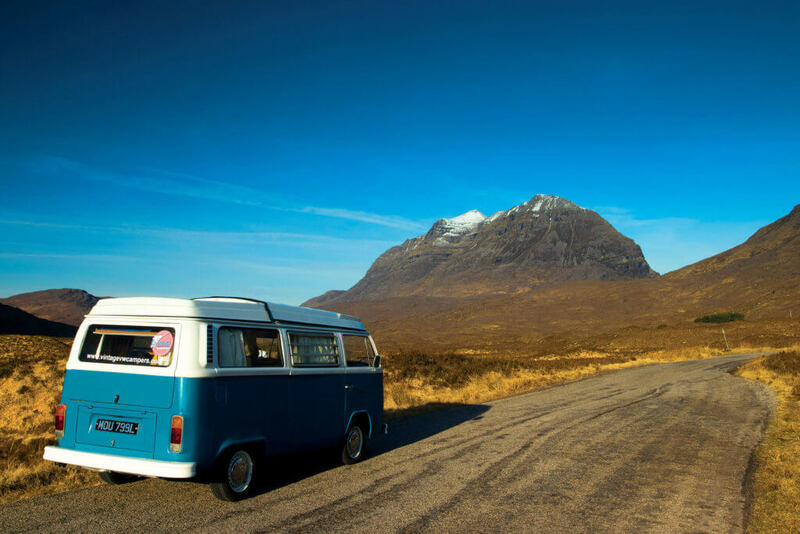 Rannoch Moor & Glencoe - one of Scotland’s most stunning drives, if you haven’t been before, we recommend this highly. Great place to head towards on your first day and well worth staying around for your first night. It’s part of the Lochaber geopark and has fantastic history so go to the Visitor Centre to find out more. Amazing scenery and walks. Good food and traditional music in The Clachaig Inn. Arisaig, Morar Sands & Mallaig- we really recommend this too! Another great place to head for your first night but if you have the time then do your first night in Glencoe and have a short drive to Arisaig the next day, giving you plenty beach time. Stop off at The Glenfinnan Viaduct, made famous in the Harry Potter films en route. Arisaig and Morar Sands are a campers’ paradise, with so many great sites near beautiful sandy beaches. From Mallaig you can travel ‘over the sea to Skye’, as an option rather than going back on yourself to head north to the Skye Bridge. Eilean Donan Castle & Kyle of Lochalsh- probably Scotland’s most photographed castle and the village where you go over the bridge to Skye. Peebles-interesting town near to Glentress Forest and Innerleithen, both highlights for mountain bikers. If you are a keen cyclist, check out the ‘Seven Stanes’. Melrose- ruined 12th century abbey, home of Rugby Sevens and 3 miles along the River Tweed is Abbotsford, Sir Walter Scott’s mansion. Moffat- quaint town with great walking and fishing options around it. Try some Moffat Toffee (not toffee but a hard boiled sweet). See the world’s narrowest hotel. Visit the nearby Gray Mare’s Tail Nature Reserve. Kircudbright- pretty harbour town. Famous as a settlement for many artists. Solway Firth- conservation area, nature reserve and beautiful beaches. Galloway Forest Park- beautiful glens, hills and ancient forest trails. UK's only 'Dark Sky Park', so brilliant for star-gazing. Ayrshire- Scotland’s Bard, Robert (Rabbie) Burns’ birthplace, visit the museum in Alloway. Go to dramatic Culzean Castle on the cliffs near Maybole, overlooking the Firth of Clyde. Skye – one of the most popular destinations for our guests. Dramatic scenery, familiar from many films and Instagram perfect photos. Don’t miss the Quiraing, The Old Man of Storr and Slighachan. 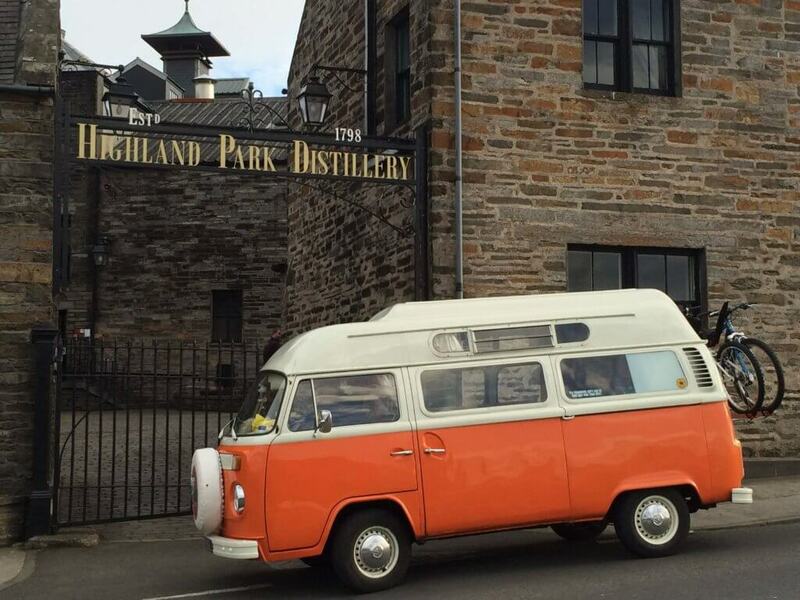 Have a distillery tour and a dram (non-drivers only) at Talisker. Visit Dunvegan Castle. Buy fresh seafood off the pier at Portree. Loads of arts and crafts and interesting places to visit. Lewis & Harris- take the ferry from either Uig on Skye to Tarbert on Harris, or from Ullapool to Stornoway on Lewis. These are two adjoining islands. Starting on the southern one, visit and shop at the Harris Tweed Exhibition. Do not miss Luskentyre , Seilebost, Horgabost and Scarista beaches (regularly voted amongst the best beaches in the world.) Harris even has its own gin distillery now. On Lewis, the enigmatic ancient stone circle at Callanish and the deserted Uig Bay, where archaeologists discovered the Lewis Chessmen are both magical places. Also worth visiting are Carloway Broch and the Black House at Arnol. Go to Charles MacLeod Butchers to buy the best Stornoway Black Pudding. If you can plan your visit around the HebCelt festival in July, you’re in for a treat of live Scottish music but the trade-off will be the general busyness everywhere. 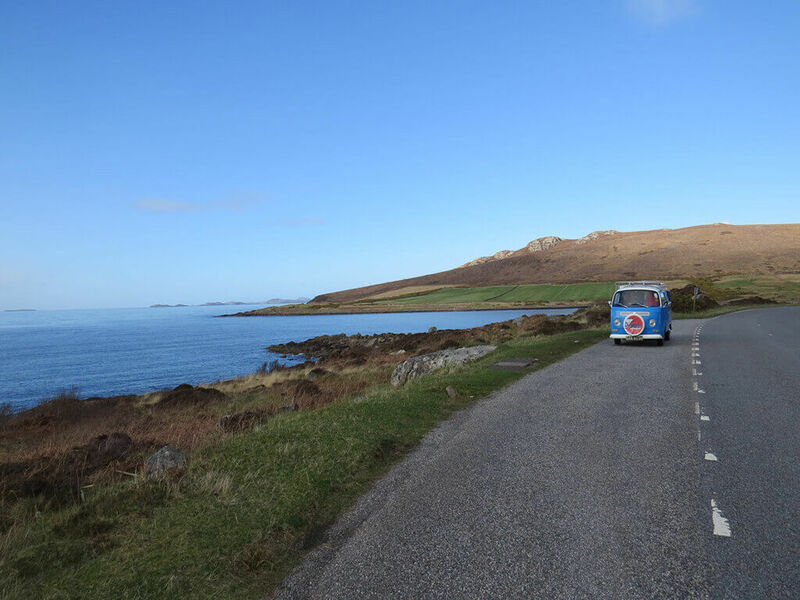 North & South Uist- For North Uist, take the ferry from Uig on Skye or Leverburgh on Harris. For South Uist take the ferry from either Mallaig or Oban. These islands are joined by Benbecula and provide wonderful wildlife and bird-watching opportunities, beautiful beaches and staggering history. Europe’s largest seal breeding colony is off the west coast. The nature reserve and beach at Balranald is a must-see. Burial chambers and prehistoric mummies are just some of the Neolithic discoveries here. Mull – a short ferry ride from Oban, will bring you to this lovely island. Fabulous for bird-watchers or those seeking peace and quiet. Islay for malt whisky lovers, this is the best island to visit. Eight fabulous distilleries, tours and tastings. Remember you’ll need a designated non-sampling driver though. Beautiful beaches, nature and traditional music are another three good reasons to visit. Orkney is an archipelago off our north coast. Ferry options from Aberdeen, Scrabster or Gills Bay. The Orkneys are a must for history lovers. The Orkney Mainland, is the island where the capital Kirkwall is situated and it boasts the following sites: Skara Brae, Skail House, Ring of Brodgar, Standing Stones of Stenness, Maeshowe and St Magnus’ Cathedral. This is also where you will find Highland Park Distillery. If you want to experience beautiful, properly deserted beaches then take another ferry to the northern island of Sanday. Don’t forget to visit their interesting heritage centre while you’re there.